Videos of the conference presentations, keynote lectures, and roundtable conversations are now freely accessible online. The conference, This is Paradise: Art and Artists in Toronto, will explore the relationship between the urban context and local artistic cultures in Canada’s largest city. 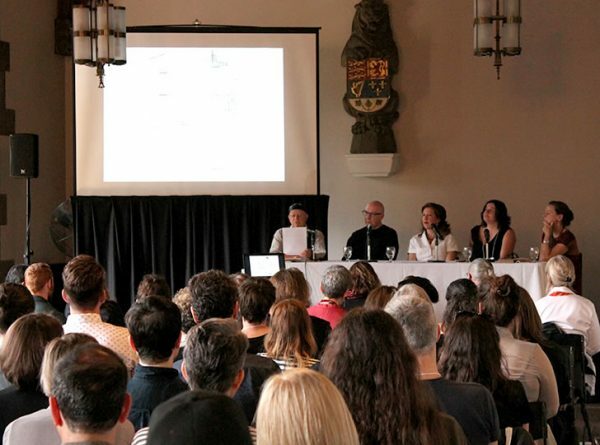 Convening at the University of Toronto from May 28 to 31, the conference includes over 75 presenters, including artists, critics, curators and scholars from across a diversity of disciplines, to focus on the ecology and conditions of emergence of the visual arts in Toronto. Presentations will explore a range of themes: the “absence” of history, and the relationship between Toronto and other urban centres; the collective impulse in local artistic scenes, and the current pressures of “creative city” paradigms; case-studies of particular places and locales significant in the cultural ecology, as well as considerations of discourses including diaspora studies, urbanism, queer studies and feminism, and of the conditions of specific media such as DIY publishing, independent film and artists’ video. The conference will culminate with roundtable conversations about the state of art institutions in Toronto – past, present and future. This is Paradise: Art and Artists in Toronto is presented by the Justina M. Barnicke Gallery and the University of Toronto Art Centre.